Cooler Master, a leading creator, innovator and manufacturer of desktop components, mobile accessories, and gaming peripherals, today announced the long awaited QuickFire XT, the full 104 key sibling to the top-rated QuickFire Rapid. Exhibiting the same extremely solid construction that won the hearts of QuickFire Rapid owners, QuickFire XT is sure to impress gamers once again. Featuring a smooth and clean aesthetic, QuickFire XT includes laser-marked keycaps and a non-glossy matte finish. 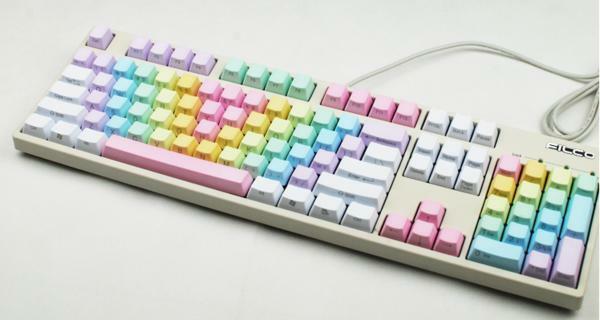 This is complemented by a set of extra keycaps (includes a key puller) that give the keyboard, and its user, a bit of individuality that provides a striking outlook. A response time of 1ms, in USB mode, offers gamers a necessary consistency to navigate the ever changing landscapes of their video game libraries. With the Windows Key being disabled in GAME mode, users will no longer worry about possibly losing a match from accidentally minimizing the game. Multimedia shortcuts are available to ensure that media can be controlled with ease. With N Key Rollover (NKRO), users deploying the QuickFire XT in PS/2 mode can activate many keys on the keyboard simultaneously. Offering the best available mechanical hardware, QuickFire XT integrates Cherry MX switches. These provide the QuickFire XT with the ability to respond to, and recover from, furious button presses with almost zero lag. Vastly improve your possible gaming actions per minute by utilizing a QuickFire XT Mechanical Gaming Keyboard in FPS, MMO, RTS, and other games. Cherry MX Red, Green, Brown, or Blue switch availability will vary based on region. To learn more about CherryMX switches and the benefits of mechanical keyboards, visit this page. Travel with ease by simply removing the included braided USB cable and storing it. At all times, the QuickFire XT makes itself a more journey-ready partner with its super-slim body. It allows the keyboard to be more ergonomically-friendly while being easier to transport than most full-sized mechanical keyboards. The QuickFire XT will be available July, 2nd 2013 in Green, Red, Blue, and Brown Cherry MX Switch models. Price and availability may vary based on region. For more information, visit the product page. Sooo... uhh... when are you guys sending me one of these? looking forward for this!!! With Brown switches. With the Windows Key being disabled in GAME mode, users will no longer worry about possibly losing a match from accidentally minimizing the game. I have done it enough to want it disabled. In fact I rather bind the damn key to another. In RO2 for example I have. Ctrl - as crouch, Shift - sprint, Alt - prone and zxcvb are all used to. All the key on the left side are in use. So it can happen. Price, performance and reliability will determine the success or failure of this keyboard. Can someone point out to me how mechanical keyboard helps improve gaming? I've tested several mechanical keyboards in the store (filco/razer/Tt) with brown/black/blue keys but I don't feel its superiority at gaming over membrane keyboard. and why most mechanical keyboard tend to have classic shape? I prefer more curved bottom row keys and palm rest. I've done it in the past several times, but I never did that again, also I like my games to be in windowed full screen mode, so it's not a problem at all. At first they feel a little odd because they're different, but after 24-48 hours of use I found my old membrane keyboard just felt stumpy...not bad as such, just unsatisfying. I wouldn't say they improve gaming though. Double-tapping on linear switches (blacks/reds) might be a little easier, but mainly it's about improving the typing experience as a whole. The keys tend to be standardized so you can switch them out easily, like so, too, three. Wrist rests tend to available separately, so that people who don't need them don't have to spend even more on what are rather expensive keyboards. I believe the Ducky one's quite nice. Thx for the tip but after reading from various forums, I think mechanical tend to having little to zero impact at gaming, despite what they usually advertised. Just like you said, it's apparently 'only' improving typing experience not performance. I see. It's not to my liking but I understand the appeal. 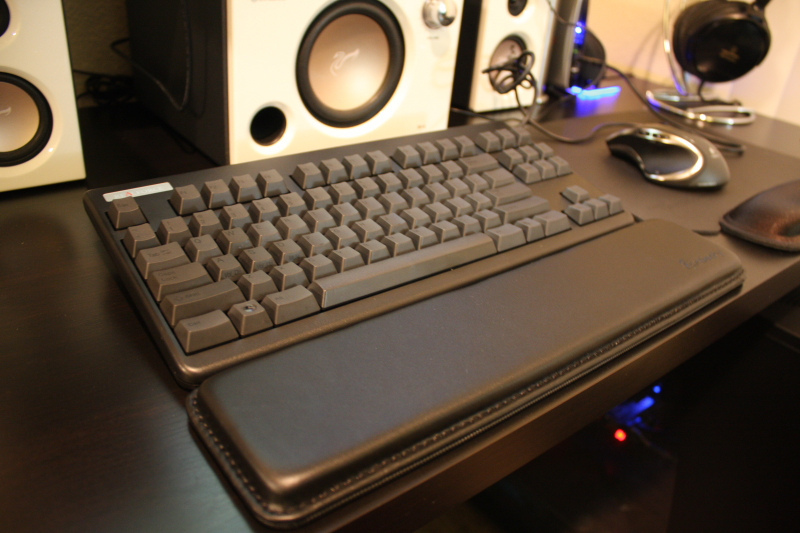 Simple plastic wrist rests will do and it's not that expensive to make. Separate wrist rests tend to price quite high in my area. Once I asked the filco's and the seller (they are the official distributor of filco/das/ducky in my country) ask for $50 what a ripoff.